There are a lot of advantages to owning a Tesla, but the key enabler for longer distance Tesla driving is their Supercharger and Destination Charger networks. With both of them constantly expanding all over Australia a lot of businesses are completely unaware that they too can participate in the network and get some great benefits out of it. What is a Destination Charger? Tesla Destination Charger sites are commonly found at places considered (unsurprisingly) to be destinations where you might spend a couple of hours, or more. This includes places such as restaurants, hotels, shopping centres and ski resorts. 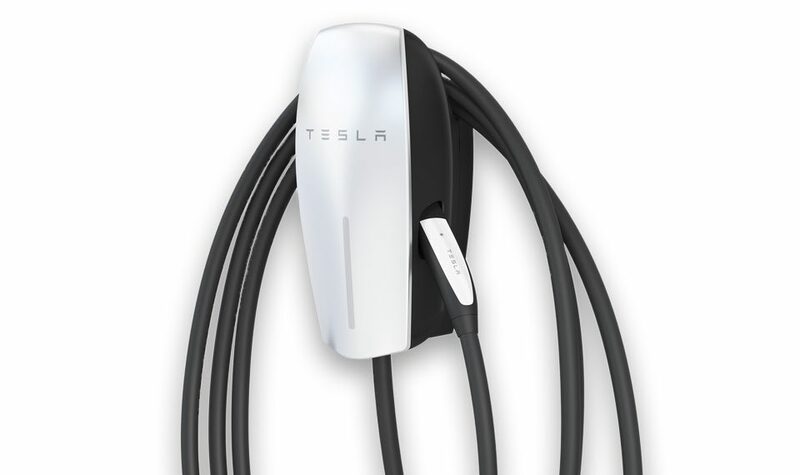 Tesla users can then charge their car using the Tesla Wall Connector. The Tesla Wall Connector is a Level 2 charging station that is built exclusively for Teslas. It can deliver up to 40A of power and has a minimal footprint, meaning it can fit nearly anywhere. They can provide 8-83 km of range per hour and there’s usually a couple of chargers per location. There are currently more than 350+ locations as of October 2017. This means there’s already a huge, nationwide network ready to use for all Tesla owners. Why should businesses become a Charging Partner? Charging facilities installed on your property attract Tesla drivers to your business, providing both new and repeat customers. When you install a Destination Charger at your business, you’re automatically added to Tesla’s network and your business will appear in every Tesla out there. This is because Tesla’s have navigation software built into their cars 17″ screens that know where their chargers are and automatically routes the drivers to them when needed. This means that new customers are constantly shown and pushed towards going specifically to your business to charge when near by. If they drive by your business regularly it’s likely they’ll charge there regularly too creating repeat business for you. Tesla’s in car navigation system also isn’t the only place you’ll pop up. You’ll also get listed on more general charging location sites such as Plug Share or Charge Point. Once again, these will direct new and repeat customers directly to your business all for free. Once they arrive it’s likely they’ll be staying for a while too as they wait for their cars to charge. On top of all these benefits there’s also the fact that Tesla’s are usually owned by high earning customers given that the cheapest Tesla you can currently buy in Australia starts at about $120,000+. This means that you’re not just getting any old customers turning up at your business, you’re getting ones that have a fair chunk of disposable income at the ready. How do I get a Destination Charger installed at my business? You can apply to become a Charging Partner here on Tesla’s website. Tesla will then work with you to determine the best charging solution for your business. Destination Chargers can also be installed at businesses so their workers can use them or even at properties like large apartment buildings as a basic amenity. Once you have qualified you must work together with a licensed electrician to get an estimate for an installation of two or more Tesla Wall Connectors. Tesla will also assign a Project Manager to ensure a cost effective and technically sound installation is completed. Once installed there are no ongoing fees or contracts and no ongoing maintenance for the connectors. You also don’t need to pay for the actual connectors either as Tesla covers this cost. Even after the installation is done you own the connectors which is a great deal! It is common for businesses to allow charging for free but this is entirely up to you. You can choose to only charge non-paying customers or all customers. As a quick reference of how much it costs, average reports are about $5 for an overnight guest or about $1 for each hour of active charging. A decent chunk of Australia has a good spread of Destination Chargers as it’s such a great deal. The upfront costs are relatively low – the main one being electrical connection of the provided chargers – and ongoing costs are should be low too due to visitors charging their cars spending at your business. Note that if you’re in SA you might even be able to take advantage of their special promotional deal they’ve got going now. Have you, or are you going to, install a Destination Charger at your business? Let us know how it goes in the Drive Zero Community!